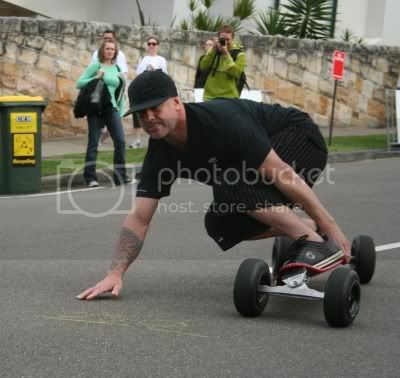 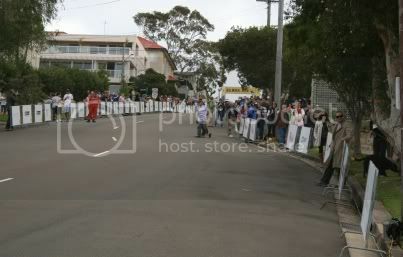 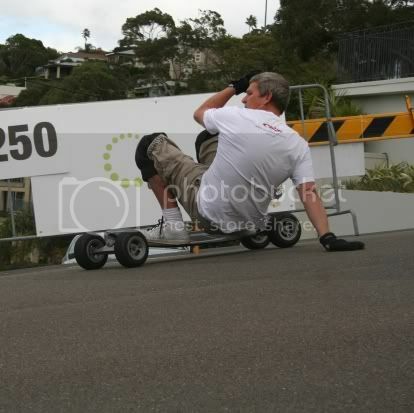 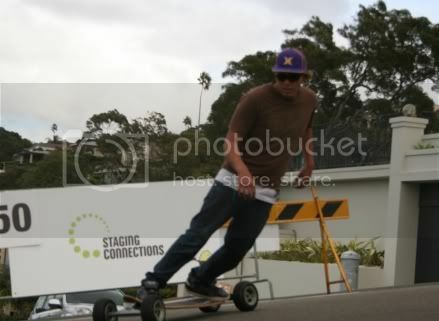 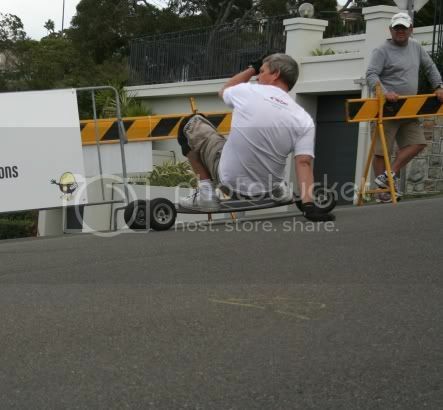 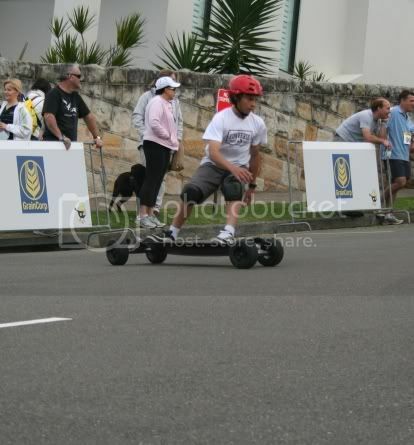 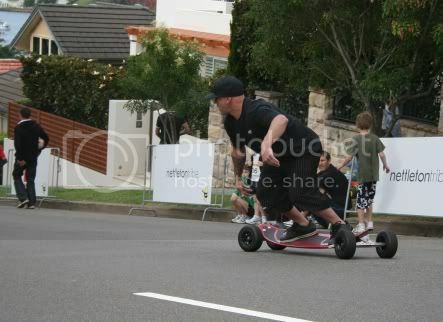 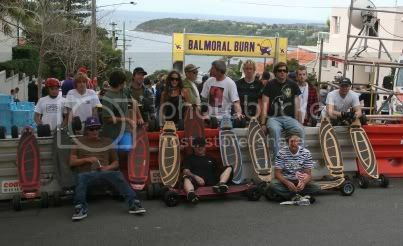 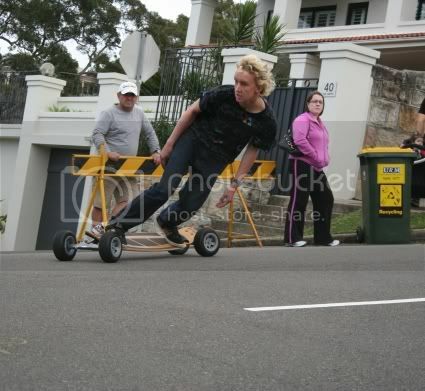 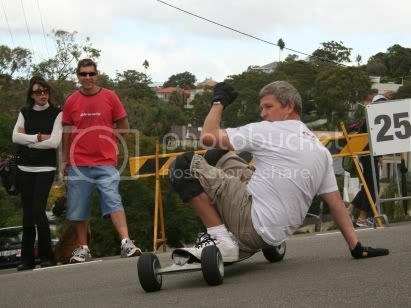 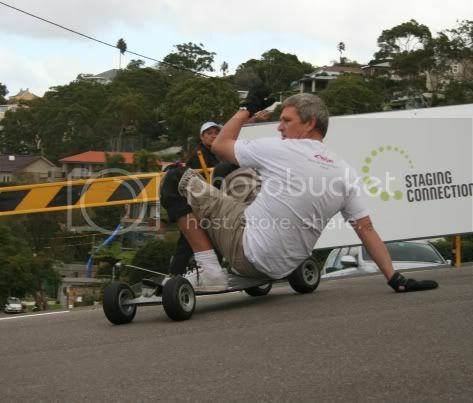 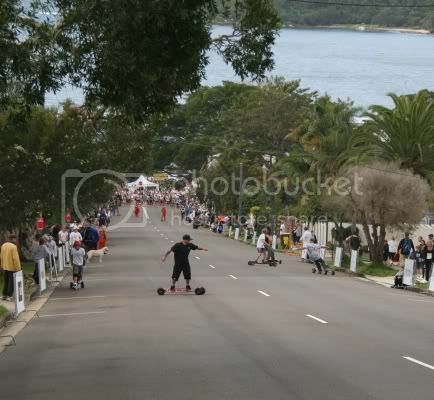 Had a bunch of CarveBoarders turn up for a roll down Awaba st in Mosman as part of the Balmoral Burn. 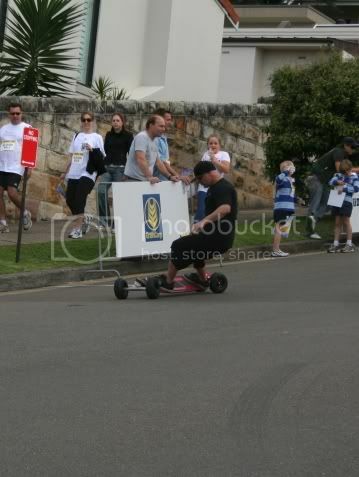 I think we were the smart ones electing to roll down the hill the only other option being to run up the hill. 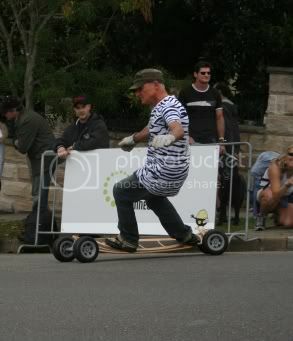 Anyway here's a couple of the pics. 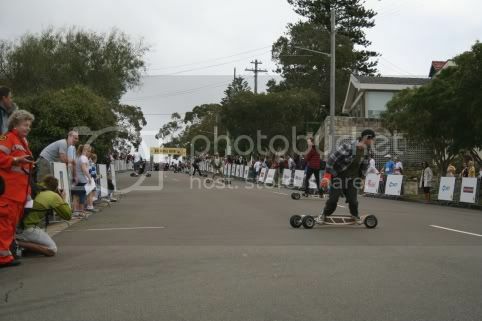 A few of the top 1/2 of the run. 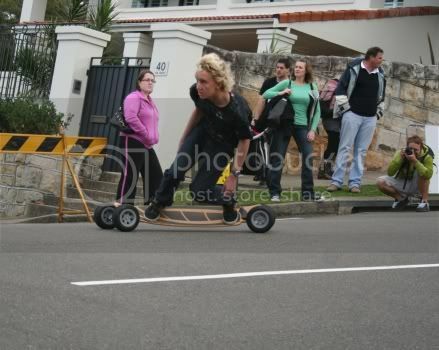 Our only Chik rider on the day Bron.